Recently, Pune has been declared as the most liveable city in India and it is no wonder considering the beauty it nurtures within its boundaries. With a history dating back to the early Medieval Period, this beautiful city has come a long way and has developed into one of the major urban centres in the country over a period of time. The city is settled on the banks of the Mutha river and is home to hundreds of tourist attractions. Therefore, it is one of the most frequented places in Maharashtra today. But do you know what are the major things that make Pune the liveliest and the most beautiful mega city? If not, then you have reached the right spot. Here, we have listed down the 7 major things that are absolutely responsible for making Pune the best of all cities in the country. Read on to know more about them. Probably, Pune is the only mega city in North India that is surrounded by myriads of hill stations. It is no more a hidden fact that Maharashtra is home to some of the most famous and most beautiful hill stations in India. Do you know some of these hill stations are located in the close proximity of Pune and are easily accessible? Therefore, it wouldn't be wrong if we say that Pune is well settled amid expanses of heavenly nature. These surrounding hill stations are home to streams, waterfalls, trekking trails and camping sites. So, don't you think Pune is a perfect place to settle down forever? 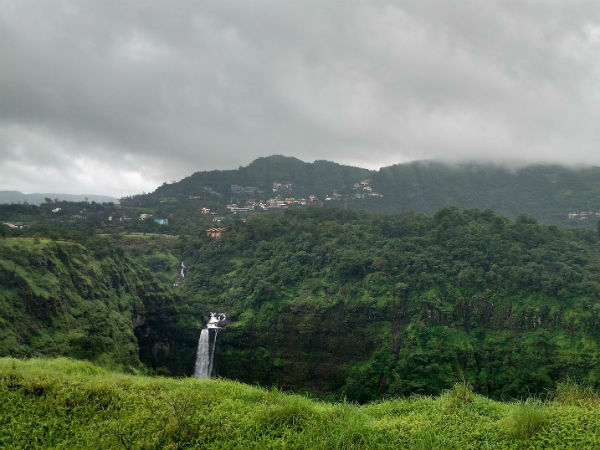 After all, you can easily reach places such as Lonavala and Khandala within a few hours. Unknown to many, Pune has a rich history and culture and the presence of numerous forts, palaces and other historical monuments certainly proves the fact. Though it is believed to have its roots in the Medieval Period during the Rashtrakuta dynasty, it has monuments mostly belonging to the Maratha and the British empires. Pune has also been a significant centre for the Indian revolution in the past. It is one of the few places in the country where the movement of the Indian independence was at its peak. Therefore, you can also find numerous sites within its boundaries which are related to the Indian struggle for freedom. The major historical places here include Shaniwarwada, Aga Khan Palace, Lal Mahal and Shivneri Fort. Well, this is absolutely one special feature about Pune that distinguishes it from other megacities of India. Yes, unlike Mumbai, Delhi and Kolkata, Pune experiences a favourable climate throughout the year. The climate here is characterised by optimum temperature conditions, a cool breeze and a pleasant atmosphere. This is one place where one can easily savour serenity and tranquillity even while taking a stroll amid streets. Doesn't it make Pune the most beautiful and liveable megacity in India? Pune is surrounded by several dense forests, and therefore it is home to richly diverse flora and fauna. From rare and endangered species of plants to the species of animals that are on the verge of extinction, you can spot the most beautiful wildlife of Maharashtra around Pune. Hence, the forested land around Pune has become one of the weekend destinations for nature lovers and wildlife photographers. So, if you are looking forward to relishing the beauty of raw nature, then get yourself in the wildlife sanctuaries around Pune. The list includes Mayureshwar Wildlife Sanctuary, Peshwa Park and Bhimashankar Wildlife Sanctuary. Unarguably, Pune is nowhere lagging behind when it comes to street shopping. Yes, ranging from handicrafts to ready-made garments, furniture to other accessories, you can find everything at these street markets of Pune. So, if you are a shopaholic, then local markets in Pune will certainly interest you to the core. The major places for a memorable shopping experience in Pune include Hongkong Lane, Fergusson College Road, Fashion Street and Juna Bazaar. Another thing which leaves behind the likes of Mumbai and Delhi and makes Pune the most liveable city is affordability. Despite being one of the largest cities in India, it is cheaper and has a low cost of living. From renting apartments to shopping, each and everything can be done within a minimum budget. Pune is also home to several pilgrimage sites and tourists and devotees come from all over the state to visit them. From temples to mosques, gurdwaras to churches and synagogues to Buddhist viharas, you can find each and every type of religious site within its boundaries. The most prominent ones include Dagadusheth Halwai Temple, Pataleshwar Cave Temple, Chaturshringi Temple and Katraj Jain Temple.